When old-timers talk about the halcyon days of space games, they mention series like X-Wing and Wing Commander. They also, in the same breath—and often before—mention Elite. The pioneering space trading and combat game, first released in 1984 (and which saw an equally ambitious sequel in 1993) remains one of the most expansive gaming experiences around, with players free to explore a galaxy and do more than just shoot the place up. 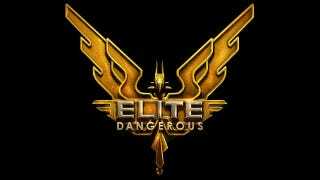 Series creator David Braben has been talking about a new game in the series for nearly a decade now, but has today seemingly made that pledge a lot more serious, opening up a Kickstarter campaign for Elite: Dangerous. Elite: Dangerous is the game I have wanted Frontier to make for a very long time. The next game in the Elite series - an amazing space epic with stunning visuals, incredible gameplay and breath-taking scope, but this time you can play with your friends too. I want a game that feels more like the original "Elite" to fly, and with more rapid travel (to allow for the multi-player nature of the game) – so you travel quickly using local ‘hyperspace' travel rather than by fast-forwarding time – but with the rich galaxy of Frontier – and more, so much more. He mentions things like procedurally-generated art and multiplayer modes, but what concerns me—with regards to the fate of the campaign, and not the game itself—is the lack of anything to show people. There's just a logo. No concept art, no prototype trailers, nothing. Considering the project is being put together by an established game studio, behind titles like Lostwinds, that's a little disappointing. It'll also be interesting to see if they can meet that goal: it's one thing for a game to ask for $400,000 from fans, but £1,250,000 (just under USD$2 million) is a lot.